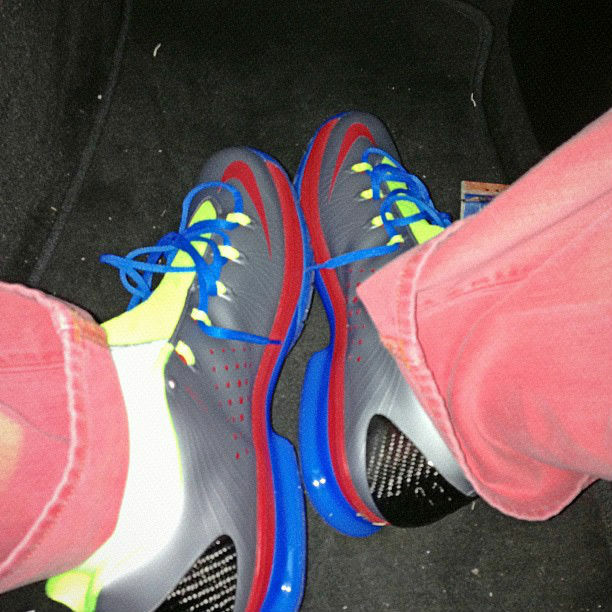 Though we're probably a few weeks away from seeing the Nike KD V Elite on the court, family and friends are treating us to an early look at Kevin Durant's postseason shoe in previously unseen colorways. 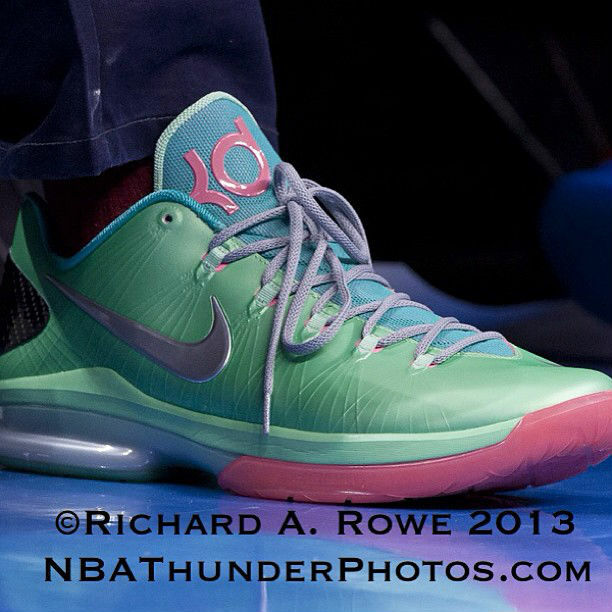 Here we get a look at the KD V Elite in an Easter-flavored pastel make-up, as well as a grey-based colorway with red, blue and volt accents. No word yet on whether or not either of these colorways will be released. 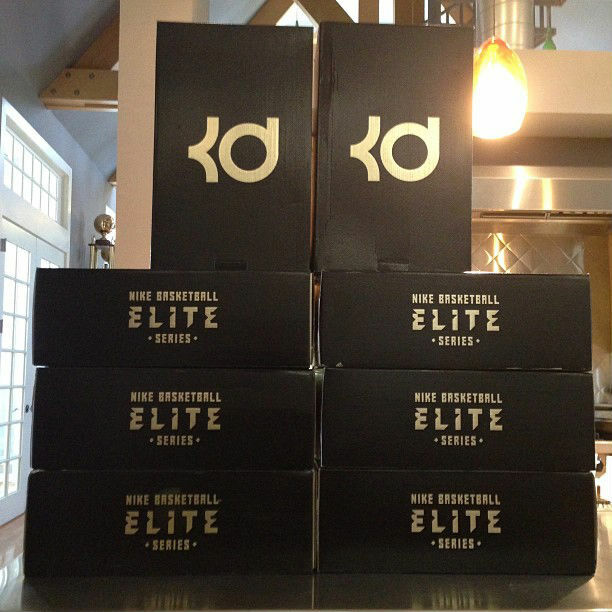 We also catch our first giimpse of the KD V Elite box, which is done in black with gold lettering and a large 'KD' logo on top. Officially unveiled last week, the KD V Elite is a re-engineered low-top with a carbon fiber heel counter and shank, Flywire support, an articulated foam tongue and caged Zoom in the heel. A launch is set for April 27.